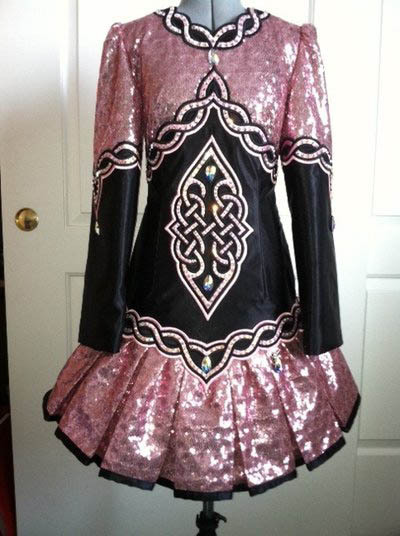 The dress is made in black satin and pink sequin fabric. 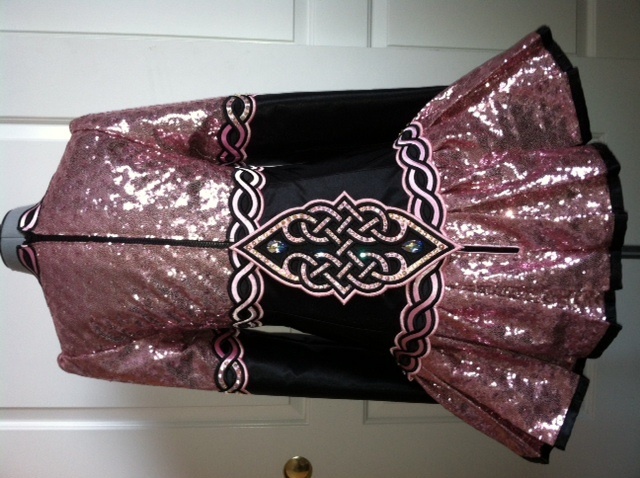 The pink sequins are 2mm and have a swirl pattern to them. 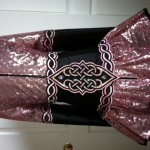 There is celtic knot embroidery in black and pink. The dress is fully lined in cotton and comes with kick pants. It has been embellished with Swarovski crystal AB stones in various sizes including several large pear shaped stones. The dress has half an in on side seems for let out and an inch let out down the zipper seem. There is an inch let down on the sleeves.